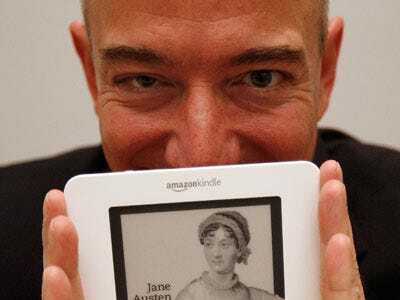 Amazon continues to wage war against Apple in the world of eBooks, the New York Times reports. Amazon is playing “hardball,” threatening to stop selling certain publishers online unless they agree to Amazon’s demands. Amazon is demanding that publishers sign three-year contracts that guarantee no competitor will have lower prices than Amazon. Apple is telling publishers it doesn’t want to see books listed at a lower price than what it will put in the iBookstore. Publishers are wary of signing a three-year contract. They have no idea what the eBook market looks like tomorrow, so they’re not locking themselves in for three years. Apple is also talking to the small publishers, telling them ‘if you use our model, then you have to use it everywhere.’ In other words, you can’t do agency with us and wholesale with Amazon. The small publishers are more reliant on Amazon, so Amazon thinks it has more influence. However, playing hardball with them, stopping online sales of their books would make Amazon look like jerks. *Quick refresher…Before the iPad has even hit the shelves, Apple managed to throw a wrench into Amazon’s eBook plans by forcing Amazon to adopt the ‘agency model’ for some bigger publishers. In the agency model, the publisher picks the price, sells it in Amazon and Apple’s stores, and keeps 70% of the sales. Amazon and Apple get the other 30%. Previously, Amazon had the wholesale model. It paid a standard price for the books and charged whatever it wanted. Economically, this was worse for Amazon in the short run. In the long run, it would give Amazon more share of the market and better negotiating position on eBooks.